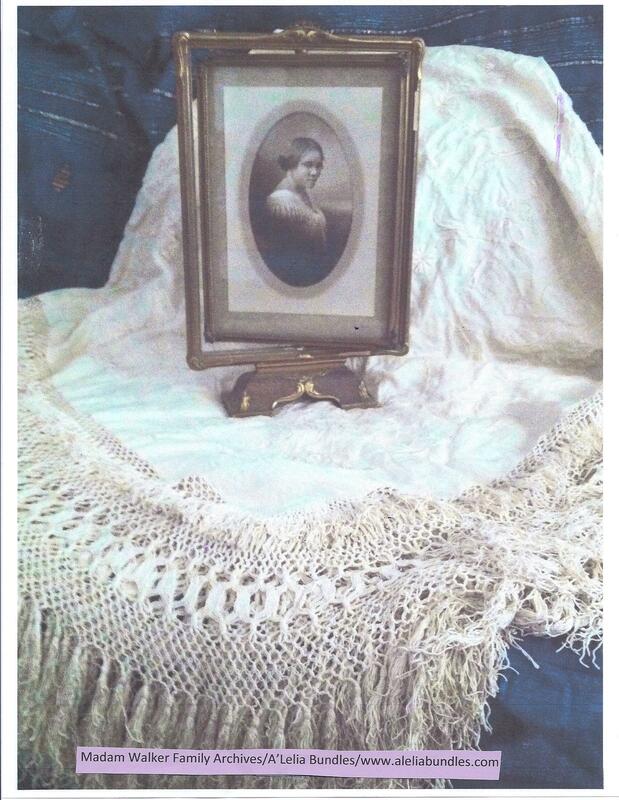 But perhaps my most prized find that day was the shawl Madam Walker had worn in the circa 1912 Addison Scurlock photograph of her that now has become iconic. 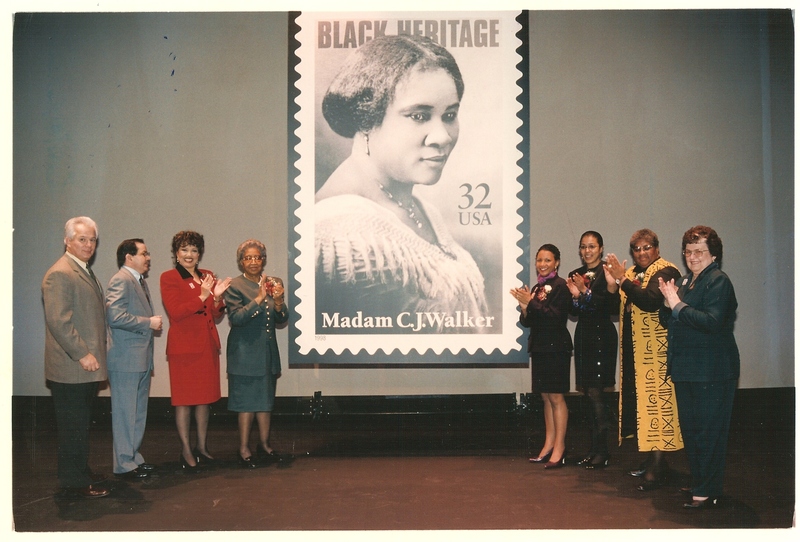 We selected that well-known photograph for the United States Postal Service’s Black Heritage Series stamp of Madam Walker, which was unveiled in January 1998 at Indianapolis’s Madam Walker Theatre Center, one of three National Historic Landmarks associated with Madam Walker’s legacy. A few years ago, when I learned from friends that a small carte de visite of the photograph was up for auction and that the National Portrait Gallery was planning to bid, I must admit that I cringed at the thought of something so precious being auctioned off to the highest bidder. As a family member, it was an honor to donate one of the cartes de visite from our Madam Walker Family Archives and to know that Madam Walker would be included in the NPG’s permanent collection as well as in the Smithsonian’s traveling exhibition, Women of Our Time: Twentieth Century Photographs from the National Portrait Gallery. Madam Walker's portrait by Addison Scurlock was donated by the Madam Walker Family Archives to the National Portrait Gallery. 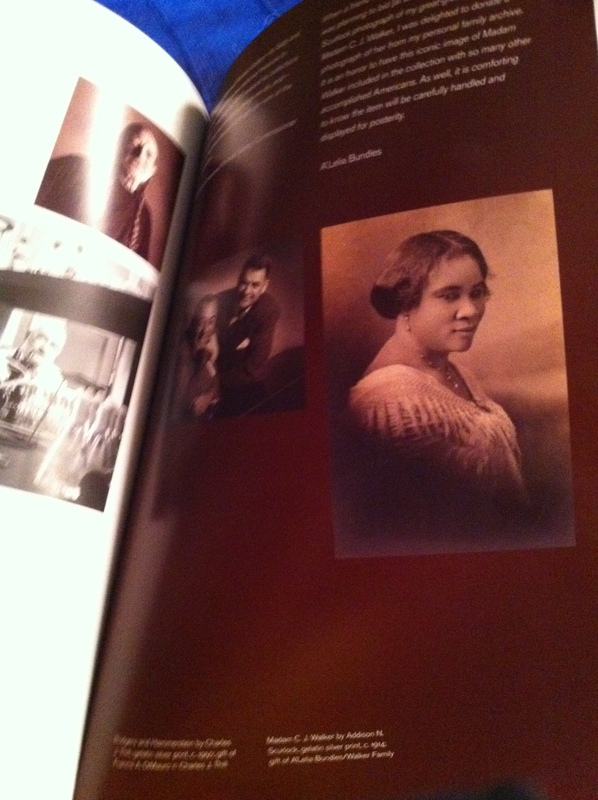 More recently, the photograph has become a part of another Smithsonian traveling exhibition, Portraits of a City: The Scurlock Photographic Studio, and the book, Picturing the Promise, both initiatives of the new National Museum of African American History and Culture, where much of our Madam Walker Family Archives eventually will reside. On the rare occasions when I hold the shawl–made of ivory Chinese hand-embroidered silk–I imagine Madam Walker in Addison Scurlock’s Washington, DC studio on U Street as he or one of his assistants carefully draped the garment around her shoulders. To have one’s photograph taken by Scurlock was to have arrived, and something she would have been particularly conscious of in 1912 as she was emerging as a nationally known entrepreneur and polishing her image and her advertisements. Among the other famous African Americans who posed for Scurlock were biologist Ernest Everett Just, attorney Charles Hamilton Houston, scholars Alain Locke and W. E. B. Du Bois, diplomat Ralph Bunche, composer Duke Ellington, poet Paul Laurence Dunbar, educators Booker T. Washington and Mary McLeod Bethune and NACW founder Mary Church Terrell. This entry was posted in A'Lelia Bundles, A'Lelia Walker, Madam Walker, Madam Walker Family Archives, Madam Walker Photos and tagged A'Lelia Bundles, A'Lelia Walker, A'Lelia Walker Photos, Booker T. Washington, Indianapolis, Madam CJ Walker, Madam Waker Family Archives, Madame CJ Walker, Madame Walker, Madame Walker Photos, Madame Walker Theatre Center, Mary Church Terrell, Mary McLeod Bethune, National Museum of African American History and Culture, National Portrait Gallery, Paul Laurence Dunbar, Smithsonian, USPS Black Heritage Stamps, W. E. B. Du Bois. Bookmark the permalink. I find your blog fascinating. You’re performing a wonderful service by putting this site together. Thanks. OAN: I’ve been curious about this photograph for a while. What was your great-great grandmother’s approach to using photography for her advertisements? What was her relationship to photography in general? Thanks very much for your comments and for your thoughtful question about Madam Walker’s use of photography. Indeed, she was very conscious of the power of images and used her photographs to convey success and to promote her products. One of her earliest ads is a “before and after” panel displaying the effects of her products. She was photographed in her automobiles, in furs, in group shots with her sales agents. This particular photo, which is the most iconic image of Madam Walker, was taken by Addison Scurlock, one of the most accomplished black photographers of the early 20th century. Her daughter, A’Lelia Walker, also was quite conscious of the power of photography and was photographed by some of the most well-known photographers of the 1910s and 1920s including Scurlock, VanDerZee, Bernice Abbott, R.E. Mercer and James Allen. You will find several articles with the photos on my other blog at http://www.aleliabundles.com. This is Black History Month and i chose to search and write about Madame C.J Walker I admire her talent and her style she was such a classy lady, and well worth celebrating not just for Afro- Americans, but for all people to be proud.